Geppert offers a hauling service with a fleet of vehicles ready to remove waste from your site quickly. If you prefer to use your own hauling service, our recycling facility is still ready to receive, recover or recycle your materials and waste from the hauler of your choosing. We offer the ability to rent a waste container or dumpster in a size and configuration appropriate to your needs. Fully-permitted recycling facilities which can receive and recycle any type of non-hazardous materials. Trust David Geppert Recycling’s experience, size and reasonable pricing. As a family-owned and operated business in the Greater Philadelphia area, Geppert has been servicing their customers with pride since 1992. Call us today to answer any questions you may have. We are here to service your account with the highest level of customer service available. 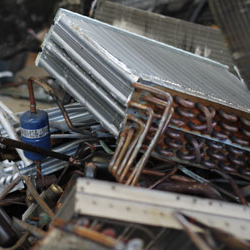 Speak with a Geppert Recycling representative today. Call 215-842-0122.